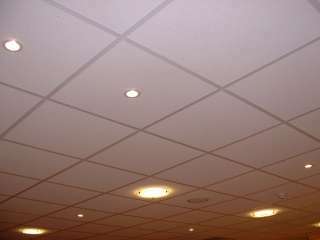 Lay-in or push-fit, recessed or exposed grid suspended ceiling systems, easy clean hygienic tiles, modular or surface mounted light fittings. 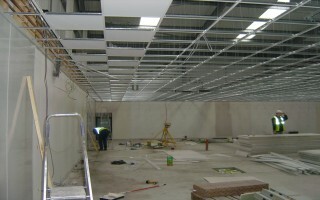 Suspended ceilings are ideal for all kitchens with high existing ceilings or where surface mounted wiring / pipe work is difficult to keep clean. 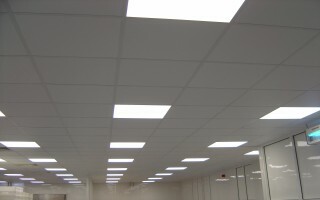 The grid and tiles can easily be tailored to suit any shape of room, and fit around canopies, columns and any other obstacles. 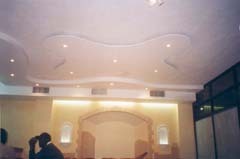 Smoke detectors, PA speakers, and other surface mounted items, e.g. 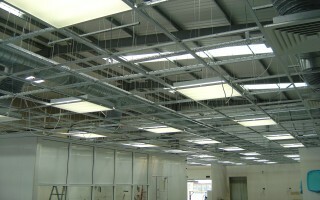 lighting, are simply fixed to the ceiling, flush mounted modular light fittings are also available. 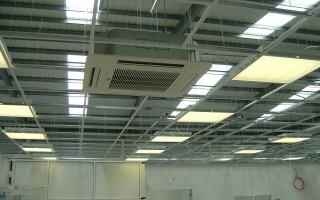 Suspended ceiling systems are hygienic and visually attractive, and can be provided in any size of room. 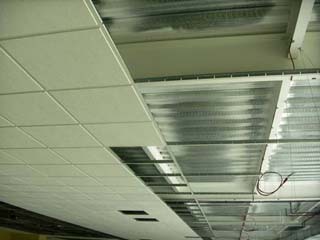 In public areas a wide range of decorative ceilings are available including mineral fibre tiles and metal tray to suit any application. 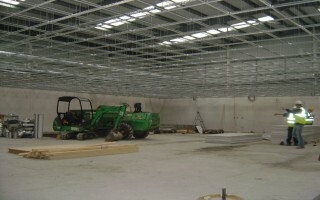 including fire rating, acoustic and thermal considerations.